Are you looking for reliable bamboo salt wholesale supplier? 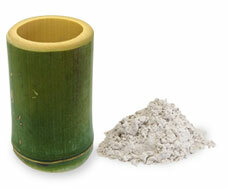 Bamboo Salt has been in Malaysia for 14 years. HKIII was proud to be the first company imported bamboo salt since 2003. Due to the popularity of internet, HK3 has achieved brand awareness recently. If you are searching for bamboo salt wholesale supplier in order to grab the business opportunity of market trend, we would like to be your best partner. HKIII is backed by 14 years of experience in promoting health benefits of bamboo salt. Our confidence in product is based the the testimonials from thousands of user. Initially, bamboo salt was most celebrated by the diabetes community as it is scientifically proven to be very effective for blood sugar level management. Many other health benefits such as anti-cancer, anti-obesity, anti-gastric, anti-inflammation, anti-allergy and etc. have been reported by Korean scientists (ref: bamboo salt research). Bamboo salt is one of the Korean National Treasure, HK3 users love it for its multi-functions such as reduce hair loss, stop bleeding gum, improve chronic diseases, improve skin health, replenish electrolytes after exercise, ease constipation and the list goes on. For overall bamboo salt benefits, go here. In terms of reliability and credibility, you can count on HKIII as your vendor of bamboo salt products. We are expanding and looking for great business partner like you. Our five years plan from now is to expand HKIII horizons over South East Asia countries. As the first company introduced bamboo salt in Malaysia (since 2003), HK3 has good amount of customers from every parts of the country. We are looking for local agents to better serve HK3 users so every lovely and most respected HK3 users can access to products and services easily and instantly. Local agents will be the fundamental of HK3 health movement, as local agents provide face-to-face product knowledge transfer, quick delivery and sincerity. We believe you can foresee the bright future of bamboo salt booming in South East Asia. Grab this rare and precious business opportunity by contacting us at hk3@hk3.com.my or whatsapp us at +60197161678 for building your next successful business project.